village council, and chairperson. Tracie Young, Enelda Rosado, and Ralph Humes are the three official candidates running for chairperson, hoping to make Caye Caulker a better place. The community is encouraged to exercise their right to vote, and make wise decisions when casting their ballot. Born and raised in Caye Caulker, Rosado has a vision for a brighter and better future for Caye Caulker. “I have the interest of the people and the island at heart, especially the youth. 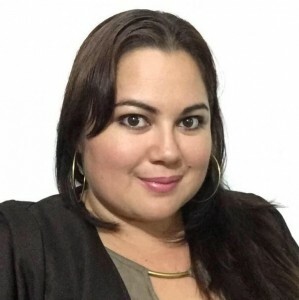 My love for children led me to plan to involve the youth in various activities, including recreational programs,” said Rosado. If elected chairwoman, Rosado will tackle the issue of excessive garbage on the island by having regular clean-ups. She also intends to improve the health sector of the community, and hopes to open a polyclinic. Young had declared her intentions of running for chairperson since early January 2016. Although she is the youngest candidate in the race, she asks the community to give younger people a chance to prove themselves. “Caye Caulker has many issues, and a lot has to do with the youth. I believe we need more social services, and activities to keep them active. The island has one small health clinic, and there is a lot of medical supplies needed to stabilize people in emergencies,” said Young. 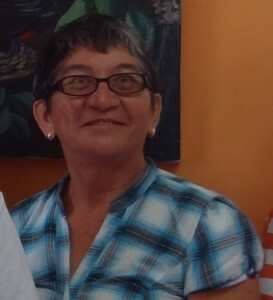 If elected as chairwoman, some of her priorities for Caye Caulker include lobbying with Area Representative of Belize Rural South Honorable Manuel Heredia JR to establish a polyclinic, and plans to achieve a stronger mutual relationship between the community and the police. Humes describes himself as a true leader who can move the community forward. 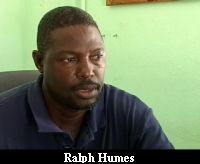 “We have a lot of issues in Caye Caulker that need to be addressed, and they include lack of employment, not enough sports, infrastructure, and the need for more health facilities,” said Humes. If elected chairman, he also stated that he will work closely with the central government, and have the community involved in every project he will propose. Some of his visions include having more job opportunities, and making the youth active in the community. In hopes of providing the community with more information about these important candidates, The San Pedro Sun proposed hosting a debate in Caye Caulker on Monday, June 13th. However Humes and Rosado declined from participating, and the debate was canceled. The Belize Election and Boundaries Department have shared information on the election process. Residents are entitled to vote in ONLY one village or community. Voters are urged to present their voters I.D. card to facilitate the voting process. However, voters who do not present will be allowed to vote once they meet all the other requirements from the Elections and Boundaries Department.